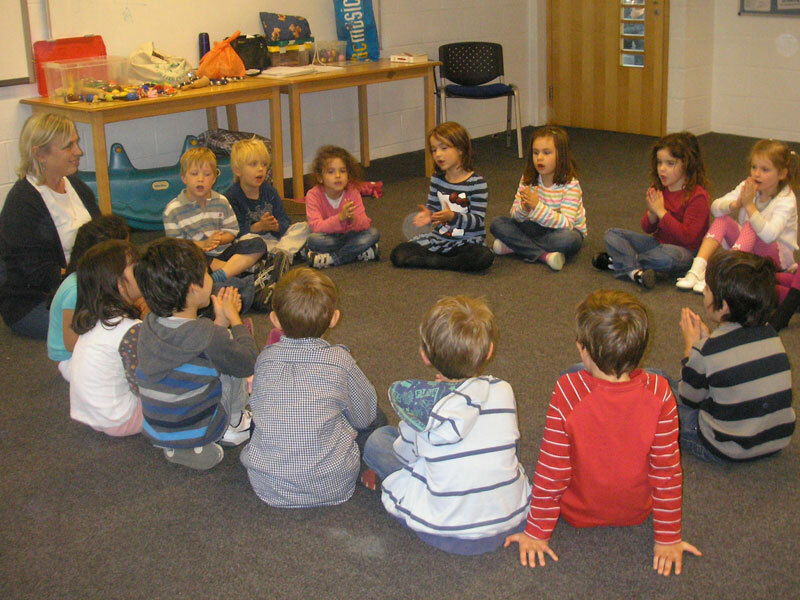 Colourstrings Music Kindergarten provides what is probably the best introduction to music for children that exists today. 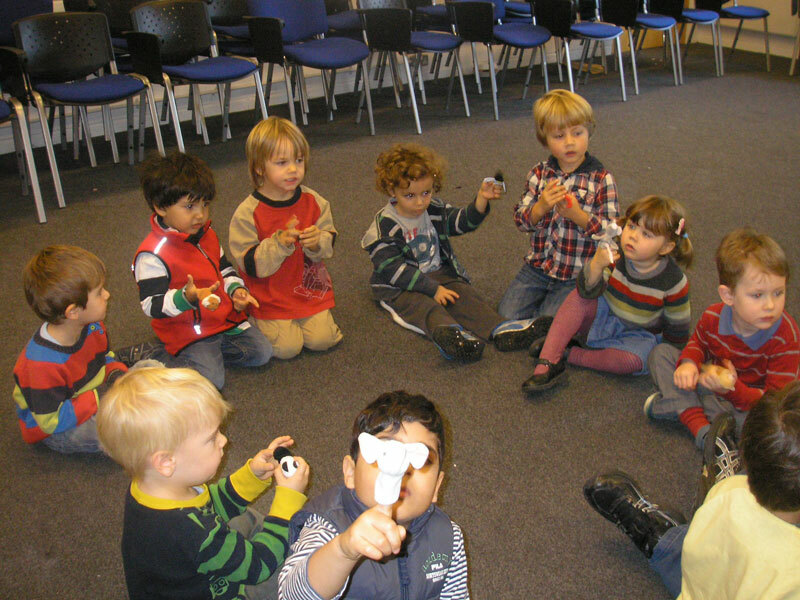 Colourstrings introduces basic musical concepts in an enjoyable and easily accessible way, enabling children to maximise their potential at a very young age. All classes are Kodály-based. 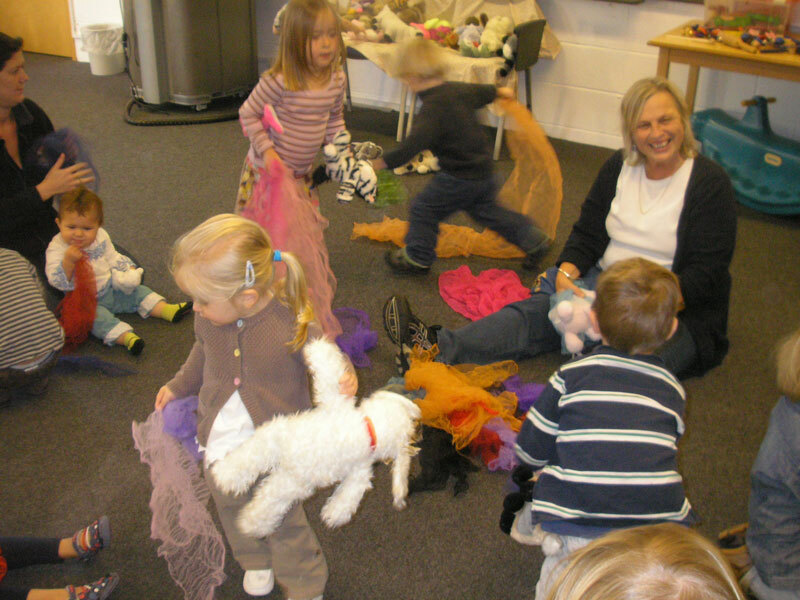 Classes exist for babies, toddlers and children up to seven years. High/low (pitch), short/ long (rhythm), slow/fast (tempo), loud/soft (dynamics), character, mood and style are all introduced from the very beginning through a variety of musical activities, including nursery rhymes and songs, folk songs, action songs, call-and-response games, memory games and copying games. The fundamental skill of any musician is listening. The quietly happy and creative atmosphere of our Kindergarten classes encourages the development of good listening skills and responsive participation. Happily, listening skills also enable a child to function at full potential in wider contexts, particularly in other learning situations. A child who can listen is a child who will learn more easily. We encourage all families to come and visit the Music Kindergarten to find out more and see what's going on. Please email our administrator at ku.oc.loohcscisumsgnirtsruoloc@ofni to arrange a visit. We recommend you observe the age group your child is currently in, rather than where they would be in the next academic year. Please register at the desk in the Family Room when you arrive, and a member of staff will be able to direct you during your visit. You are welcome to bring your child to the class as long as he/she does not mind observing rather than participating to avoid disruption to the teaching in progress. All Kindergaten classes last 45 minutes. 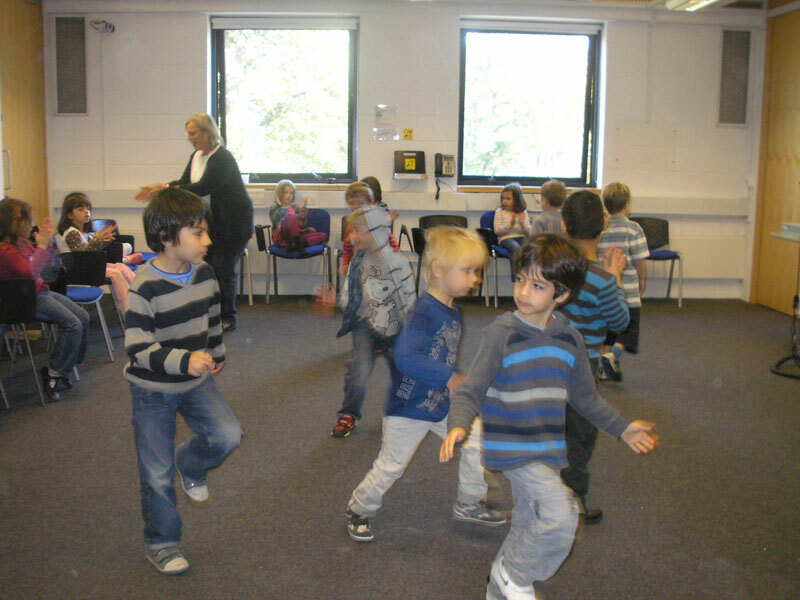 We also run clases for toddlers thourgh to Year 1 on a Thursday afternoon at St.John the Baptist Church Hall on Kingston Hill. Visits are welcome by appointment only.